Mobile applications have greatly driven the success of smartphones and tablets. Unfortunately, just as mobile app success increases, so do the incidents of malware and cybercriminals targeting them. 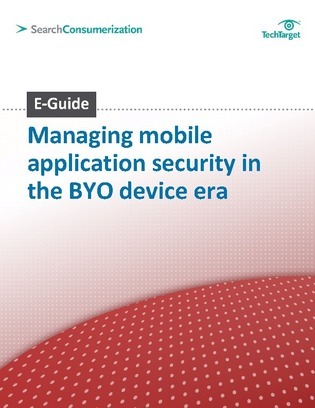 In this E-Guide from SearchConsumerization.com, wireless expert Lisa Phifer explores the challenges of managing mobile apps in a BYOD enterprise and provides suggestions for how your organization can manage and safeguard these versatile tools and the devices they’re used on to prevent compromises.